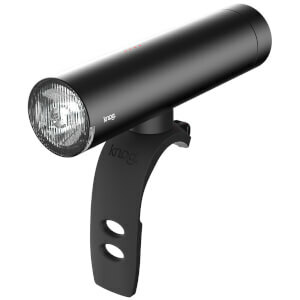 Cycliq's new Fly6 CE integrated bike camera and safety light has been re-engineered with higher resolution video recording, a brighter light and a new quick release mounting solution. A new benchmark has been set. Shoot super sharp video at up to 60 frames per second at 1080p resolution. The wider 135-degree field of view fits more in the frame combine this with the new 6 axis image stabilisation and high dynamic range means you will never miss a number plate, no matter the light levels. 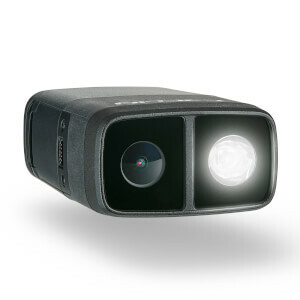 Up to 100 lumen brightness is available with 3 light modes and 3 dimming options. With up to 6 hours operating time, the industry leading battery is built to last longer than your ride. The USB-C fast charge cuts the charge time in half. Be fully charged in just 1.5 hours. Two buttons do everything. The clever looping system means you will never run out of memory space on your SD card. Footage from an incident is automatically and safely preserved with our incident protection technology. Our new 1/8 turn secure mounting system makes it quick and easy to clip on and off your bike. Fly6 CE is built tough to sustain knocks and is weatherproof thanks to nanotechnology. The device also has a bike alarm which alerts your smart phone via the Cycliq Plus App if your bike is moved. Fly6 CE connects with your compatible Garmin via ANT+, connects with the Cycliq Plus App via Bluetooth and connects via USB to your PC or Mac. Video software lets you edit your footage for social sharing. I bought this to record my daily commute to work, and couldn't be happier. A great piece of kit, easy to use once you get your SD card set up and gives a clear, sharp picture of what's going on behind you. I cross a couple of intersections where being harassed by a bus driver with a chip on his shoulder is a typical experience so having the video evidence to back myself is a great help. The light is bright enough for normal use and the warning sounds are adequate. I've a bit of trouble connecting and changing setting via Bluetooth but not a deal breaker. Overall a great piece of kit. I've been using one of these for several weeks. Initially I had a few problems which turns out were micro-sd card and firmware related. The required micro-sd card is not included and I strongly recommend using only one of the specific models tested and recommended by them - simply having a very fast card is not necessarily enough. It cannot accept a card larger than 32Gb. Some issues that manifested as battery capacity related seemed to disappear entirely once I upgraded to the latest firmware which was a bit of a convoluted process but it did work. The video quality (1080p/60) with stabilization turned off is quite good, not necessarily as video (which is shaky for obvious reason that the camera is being shaken) but provides decent still frames particularly given that it's sharing space with a light. It hunts for exposure settings a bit so as video the sky will flicker between nicely exposed sky and darker exposure of things on the ground and blown out sky and better-exposed things at ground level. As video this is distracting when viewed, but as a source for documentary snippets to get license plate numbers, street signs etc. it really doesn't matter much. The tail light is fairly bright and effective. The main problem with it so far, and this is a pretty major problem, is that it is really not weather proof. Just riding not in rain but on occasionally damp roads several hours after a rainfall, caused water ingress and fogging inside the lens. This fogging disappeared as the day wore on, but I would not dare take this out in actual rain. If I get caught in the rain it will go into a plastic zip lock bag with my phone. Another minor negative is the mounting system. The short strap works fine on round seat posts but several of my bikes have aero posts and the included mount doesn't work well on any of them. The main issues here are that the strap is excessively long (it can be trimmed) and has very little actual overlapping grabbing area between the male and female hook and loop. On aero seat posts there is no angle adjustment possible like there is on round posts (two rubber inserts are provided for rounds posts that offer two different angle settings but for aero posts this is not the case). One could probably create a shim by wrapping the post above or below the centre line of the mount using electric tape or similar. It is awkward to switch the mount between bikes because of the need to switch both the hook and loop strap and the rubber shims as you switch between bikes e.g. from one with a round seat post to one with an aero post. For me this is nearly every single time I need to attach the mount, and I switch bikes between rides about 1/2 the time so fiddling with swapping mounts is a nearly daily occurrence. Spare mounts are very expensive (and currently unavailable anyway). It is possible to buy an adapter that is compatible with gopro mounts from cycliq which is also very expensive for what it is but opens up a lot more mounting alternatives.